Would you like to have a piano at home, without being bound by a lifelong obligation? Is a child of yours enthused about playing the piano? Do you know for how long this passion will last? 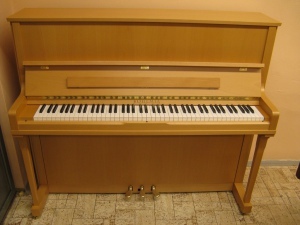 Is purchasing a piano beyond the school’s budgetary means? - If so, there’s always the rental option! Good coffee and beautiful music flowing from a piano in the corner of your café? Doesn’t that sound like a dream come true? - But with us it’s a reality! Would you like that special occasion of yours to be accompanied by live piano music? Purchasing a piano is a major financial decision (comparable to buying a car). And with this awareness in mind, we offer you various reasonable solutions. 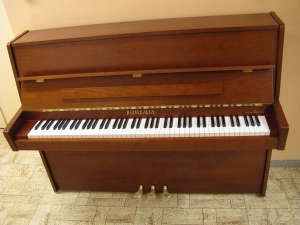 A good-quality new piano (upright piano) may set you back CZK 100,000 or more. It is a definitive decision and there’s no going back. 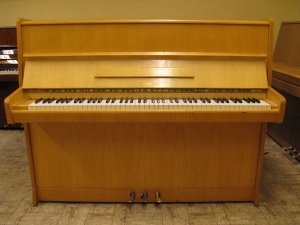 Selling a piano is more difficult than terminating its rental. What’s more, if you opt to rent you will pay a few hundred Czech crowns a month. 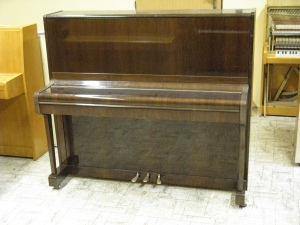 You can rent the piano for 10 years or so and it’s still cheaper than buying outright. Rent a piano for the time you need. From six months to an indefinite period of time. We provide the widest range and lowest prices. Rent a piano at a price you choose. From CZK 350 to 800 a month. Tuning and professional transportation secured. There is no simpler solution. Is music your passion? Would you like to have a piano at home, without being bound by a lifelong obligation? 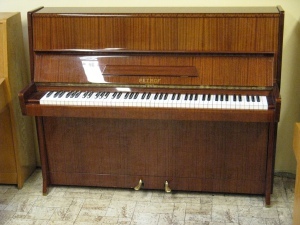 We will rent you a piano for the time and at the price you yourself choose. Is a child of yours enthused about playing the piano? Do you know for how long this passion will last? – With us there are no risks. Rent a piano for as long as your child is enthused about the instrument. We offer piano rentals from six months to an indefinite period of time. 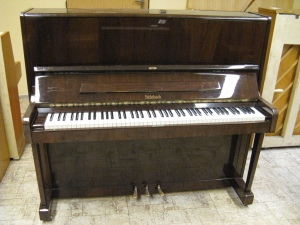 Is purchasing a piano beyond the school’s budgetary means? – If so, there’s always the rental option. Our low prices make the regular monthly hire costs almost invisible. Even renting a piano for a number of years is still cheaper than buying. Good coffee and beautiful music flowing from a piano in the corner of your café. Doesn’t that sound like a dream come true? – But with us it’s a reality. We rent instruments for a few hundred Czech crowns a month and they are always tended to by professional tuners. Would you like that special occasion of yours to be accompanied by live piano music? We can lend you an instrument for a short time too. We tailor our services to our customers’ requirements. We are here for you. We will help you select the right instrument. For further information, including prices, contact us. Why the Czech Music Fund? We are the Czech Music Fund, our piano rental possibilities are extensive indeed. We offer the stability of an organisation with long-term activity. We will help you with arranging transportation by qualified hauliers. We have storerooms in Prague, Brno, Ostrava a Lanškroun.